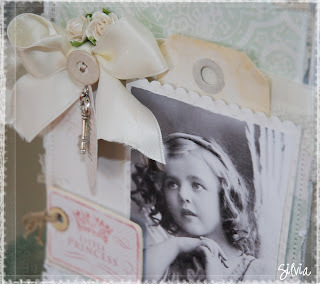 Shabby Chic Silvia: "Little Princess" & exciting news!!! most beautiful products, and it's such a pleasure to work with. I appreciate every one of them! Silvia your creations are all so beautiful, you are very talented. Silvia your creations are beautiful. Silvia, how exciting for you to be on the Melissa Phillips blog. Your work is just lovely. I couldn't wait to visit your blog and I have now added you to my favorites. Your work is so pretty. I really enjoyed looking at your whole blog! Congratulations on being featured on our blog. 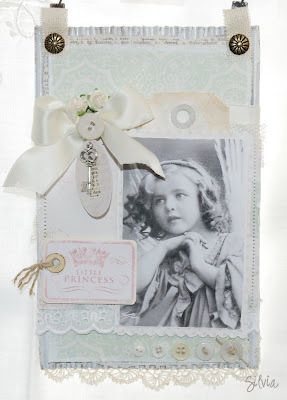 We at Melissa Frances enjoyed sharing your artwork with our readers. Helt underbart, Silvia! Jag hittar alltid inspiration hos dig - tack för alla fina alster du visar! 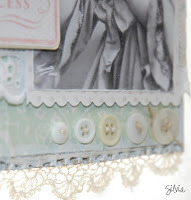 Simply gorgeous and so shabby! Congratulations on being featured on the MF blog....I couldn't be happier for you! You have a Lovely Blog!! Beautiful work! WOW!! How exciting!!! Your creations are ALL fabulous!! !You deserve it!!! Just stunning, I really love this! Jeg er så glad i stilen din, den er så sart og nydelig..... Får ikke til dette jeg!! !